My iPad is (understandably) overflowing with educational apps for kids. I can rest assured that 99% of the time, when the kids are playing on the device, that they’re also learning something. There is that 1% of the time though where they just like to play, full stop. I like to make sure that when they are having fun, the app they choose has some hidden educational content – it’s kind of like sneaking zucchini into fudge brownies. 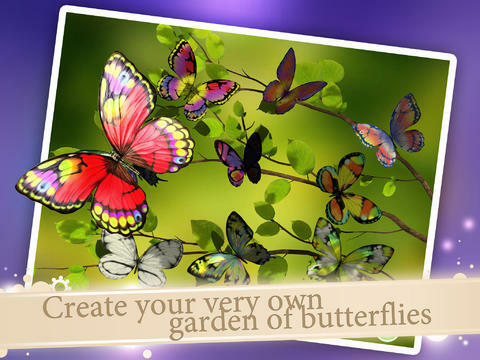 Paint Me A Butterfly is a truly fun app that also sneaks some zucchini into the brownies. It’s an art-based painting app where players – even as young as 2 – can create and curate a beautiful garden of butterflies. There are several different customization options and finished creations are saved in a garden where they can also be printed and shared. Underneath all of the pretty colors, though, it helps to teach important early learning math (symmetry), art, and color recognition skills. Painting is quite easy, and there are a ton of different ways to get creative. Along with a palette of butterfly-approved colors, there are brush size variations and several editing and blending tools. 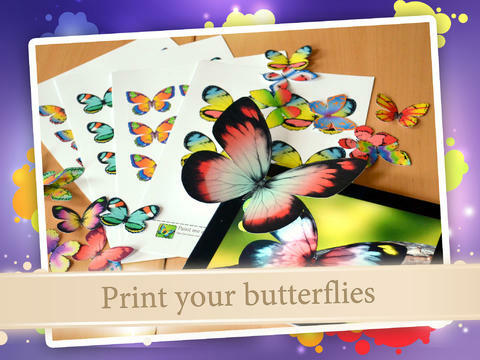 the butterflies are then saved in a gallery where they can be e-mailed or posted on social networking sites. The garden can be filled with new or saved creations, and everything can be erased and re-colored over and over. Game play is easy for small fingers – the colors are painted on using fingertips. There’s a slight learning curve but the controls are easy to master and hitting random buttons won’t do any damage or bring children to inappropriate sections of the app (there are none). The colors are rich and the butterfly animations are startlingly realistic, so older players won’t feel like it’s too cartoony or juvenile. My 5-year-old has never shown much interest in art/painting apps so he hasn’t even played this. On the other hand my daughter, who’s 3, can’t stop playing. She’s into all things girly – butterflies, pink, and coloring. This app is right up her alley, and while she’s not quite taking full advantage of the picture sharing feature, she keeps her garden colorful. The download price of $1.99 may seem a little steep, but it’s a small price to pay for an app that’s just plain fun (with some hidden zucchini). There are no ads or IAPs, which is essential for keeping young players engaged and focused. 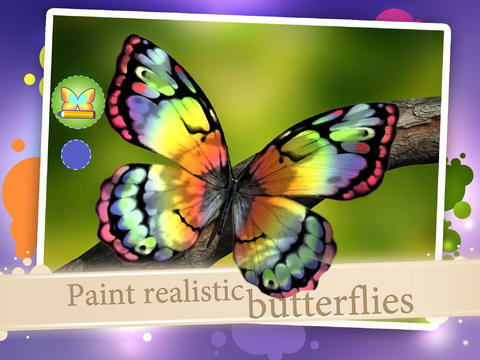 It’s not quite a fudge brownie, but Paint Me A Butterfly is a quality app.